How Waterville and Lee Canyon are harnessing the power of curiosity. 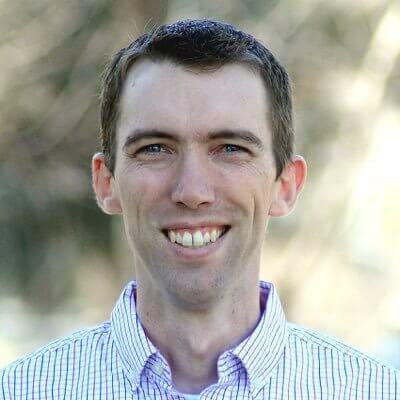 Have you ever heard of that thing called the product adoption curve? You know, the one with innovators and laggards and early adopters? 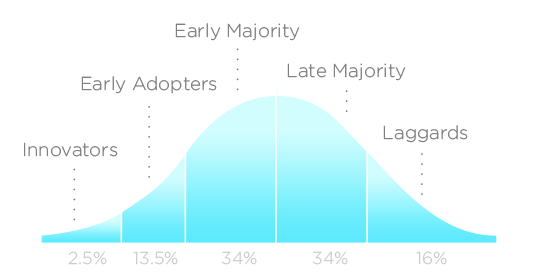 I’ve always focused on the “innovators” and “early adopters” as the most important for the success of any product, but what’s been curious about my own “late majority” or “laggard” behavior is that even though I’m way behind everyone else, I’m still extremely curious about these innovations. Said another way, I’m nowhere near ready to but, but I would LOVE to give them a try. I never did buy Google Glass, but I was as eager as anyone to give it a whirl with Dave Amirault brought a pair to Destination Summit. Speaking of Dave, when he brought his VR headset to INSIGHT? It was all people were talking about the next morning. And thats the thing with these cool new bits of tech; only a few thousand people may be buying them, but there are likely millions of people who would love to see what its like to use one. One area that has absolutely exploded with such intriguing innovations is transportation where you can lump in things like Segways, Boosted Boards, electic bikes, Hoverboards, Golf Boards, and the one I want to talk about today; One Wheel. So if you’ve got a ton of people who are extremely curious about new tech but not willing to buy, what could you do to capitalize on this interest? Make your resort a place they can do so. I think what’s extremely clever about stuff like is the baked in marketing that comes along with it because One Wheel isn’t some MLM trying to sell their friends on buying batches, they’ve got an entire team doing a ton of marketing to drive awareness and intrigue for their product. If you are a fan of the OneWheel you are assured to love hoverboards as well. Can you believe Lamborghini has actually developed a hoverboard! Read all about its features and some great reviews on this site, the lamborghini hoverboard. It’s a savvy move and only one of many such opportunities created by today’s rapid pace of innovation. Nice work, Waterville Valley and Lee Canyons. Very nice work.